We welcome all patients ages 1 up to 21 to Western Heights Dental. 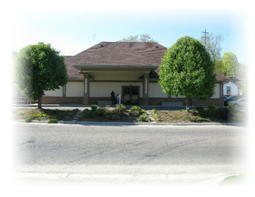 We have been an established Dental practice in Knoxville since 1982. Our team of dentist includes: Richard Myers, DDS, Andreá Farrior, DMD, Josh Steedley, DMD, Jerry Duncan, DDS and Mark Johnson, DDS. We feel very blessed to be in this community and to have the opportunity to help others. It is our goal and mission to provide the best possible care to our patients and educate them on proper dental health in order for them to keep their teeth the rest of their lives. 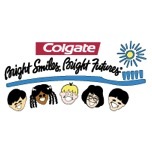 We are happy to be able to provide care to those children who may not otherwise get the dental care they need. We hope that we can improve the dental health and dental knowledge of every person that walks through our doors; however, it is up to you the patient/parent to follow through with your preventive care checkups on a regular schedule. This practice is truly a dental office that cares not only for the children but also the families in our community. We hope that our newly formed relationships will be mutually satisfying and beneficial to all patients. Beginning in October 2017, we are happy to announce that we will be offering in office conscious sedation to our patients. In addition to seeing patients in our office, we also have privileges at East Tennessee Children’s Hospital. When children need extensive dental treatment at an early age, we schedule these patients at Children’s Hospital for their dental treatment because sometimes small children are not able to sit in a dental chair for extensive dental treatment. Dr Myers has worked at Children’s Hospital for many years and we are very proud to have such a wonderful hospital in our community.